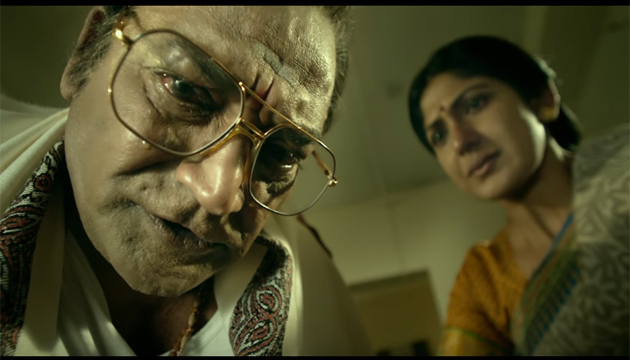 Watch Ram Gopal Varma's controversial Lakshmi's NTR trailer here! This the season of biopics with many popular iconic figures getting films made on them among which the first installment of the two part biopic of NTR’s life with NTR: Kathanayakudu starring Balakrishna, Kalyan Ram, Rana Daggubati, Vidya Balan, Nithya Menon and few others was released recently. That said, another biopic on the life of NTR was simultaneously made by controversial filmmaker Ram Gopal Varma and Agastya Manju under the title Lakshmi's NTR, which will narrate details on the former Andhra Pradesh Chief Minister's life from his second wife, Lakshmi Parvati's point-of-view and is on track for a release soon.